This fight will be in action and agreed by both boxer - The Pinoy Pride Manny Pacquiao and The Mexican Pride Juan Manuel Marquez. 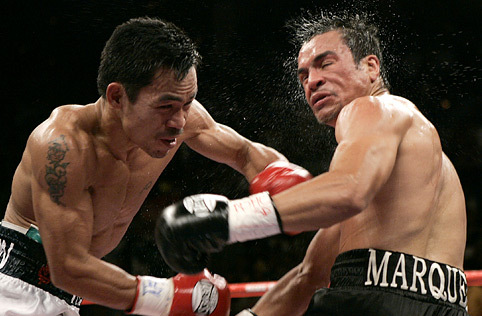 Manny Pacquiao will back again to fight Juan Manuel Marquez for the 3rd time and the final fight for the two rivals in Las Vegas, Nevada which will be this coming November 12, 2011 - tentative date. Juan Manuel Marquez accept the offer for 145 pounds but thinking that the fight should be 144 and not 145 - catch-weight fight.For the last and final battle between the two top pound-for-pound boxer in the world, we'll witness again who will be the victorious in this most awaited fight. Marquez had on statement that He will be the most and fits to fight Pacquiao in action among other fighters beat by Pacquiao recently Shane Mosley. 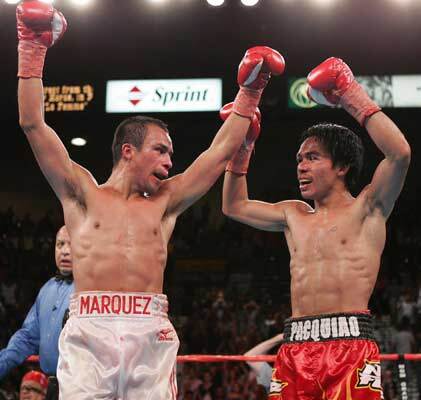 In their first battle, the fight went to controversial draw which fans thinks for a unanimous desicion for pacquiao, that made marquez drop and knockout in the early rounds of triumph. In the second encounter, now pacquiao won via split desicion which made pacquiao cry and thankful for the desicion and he deserves what he does to marquez by unleashing strong punches which made marquez knockout but recovered until 12 rounds. And this time, we will again see who's the final and best of their series, credit to pacquiao for 1-1, a win and a draw. I can't think who will stand until 12 rounds or the same result in their first and second fights that goes to the judges scorecards, or there will be a real TKO in this fight. 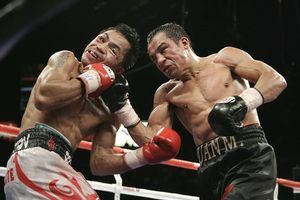 We'll see this, more updates and fight video, and we'll watch on live streaming, ppv, tickets, or on replay - Manny Pacquiao vs Juan Manuel Marquez battle for the Third and Last time in the ring happens on November 2011 in Las Vegas, Nevada.